"I hate school! I hate ratings! I won't reach higher! I won't strive harder! I won't make tomorrow better than today!" In the walled city of Aramanth, exams are everything - not only for children, but for whole families. When Kestrel Hath dares to rebel, the Chief Examiner humiliates her father and sentences the family to the harshest punishment. Desperate to save them, Kestrel discovers that life in Aramanth was once different - and if she can find the secret of the Wind Singer, maybe life can change for the better once more. William Nicholson is best known as a successful Hollywood screenwriter, whose credits include the BAFTA award-winning Shadowlands and Oscar-winning Gladiator. He also written other films: Sarafina, Nell, First Knight, Grey Owl. He has written and directed his own film, Firelight; and written stage plays: Map of the Heart, Katherine Howard and The Retreat from Moscow. 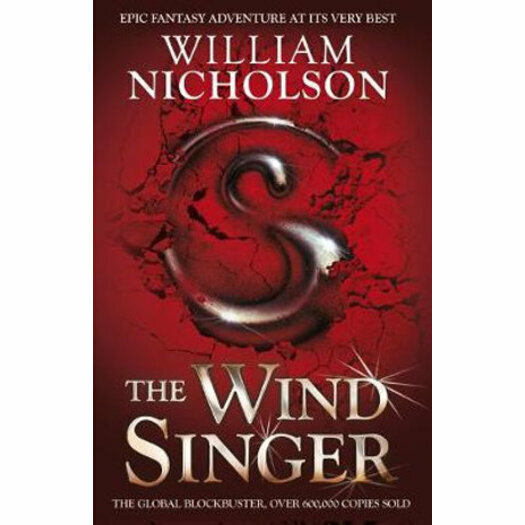 Nicholson's first trilogy for young readers, The Wind on Fire, won the Smarties Gold Award and the Blue Peter Book Award. The first two books in The Noble Warriors trilogy: Seeker and Jango , have received wide acclaim.